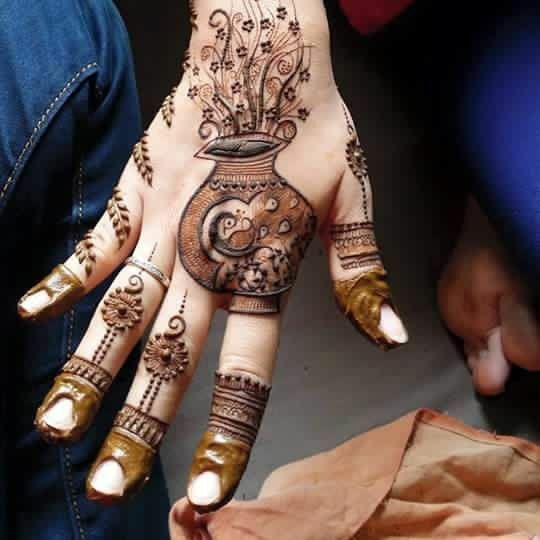 Mehendi has been a much-adorned part of our culture since centuries. 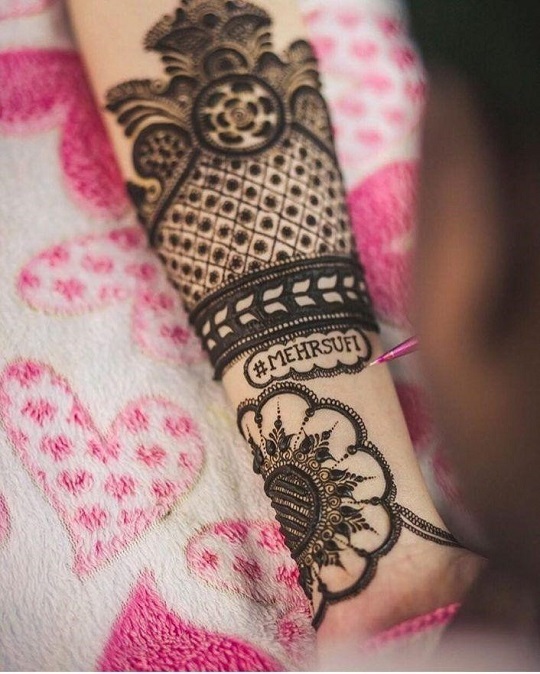 Mehendi designs are used as a temporary tattoo across the globe. The subtleness of its colour, the beauty of its texture, and the intricacy of its appeal is pure art. 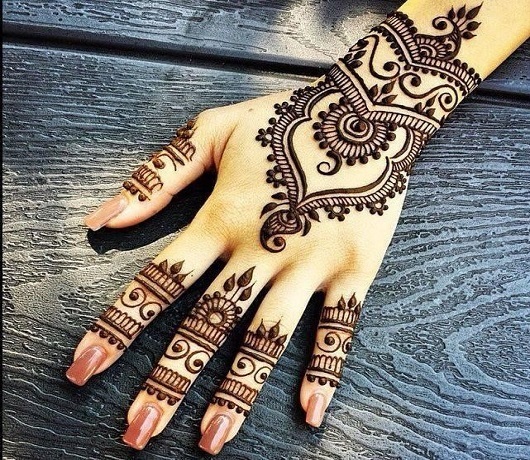 Mehendi is considered very auspicious in India and the Middle East. 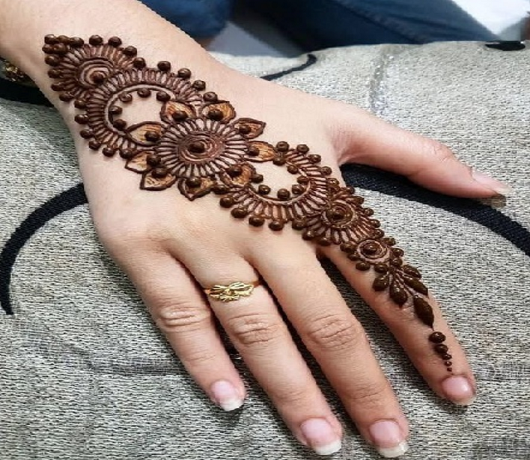 It is for this reason that Indian women are always on a lookout for new Mehendi designs 2019 to experiment with during different celebrations. 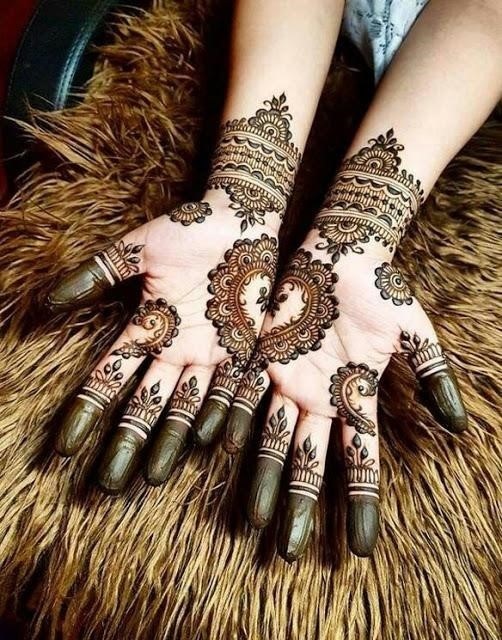 Ride with us on this visual delight to find some of the latest Mehendi designs in 2019. 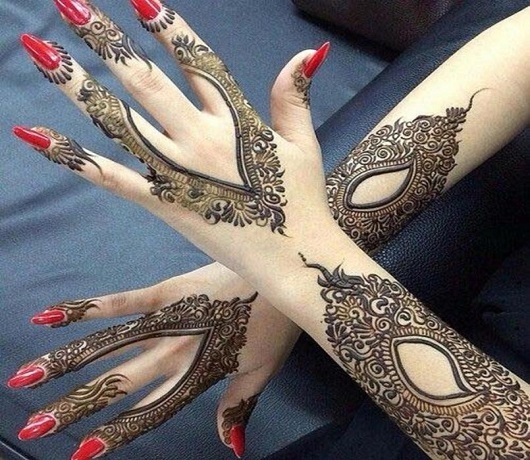 Get ready for the ultimate Mehendi 101. 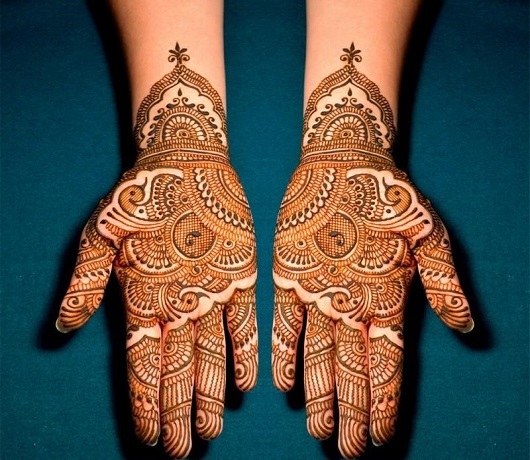 Add depth into your Mehendi design by picking a gradient effect. This style gives an elegant illusion to your design. 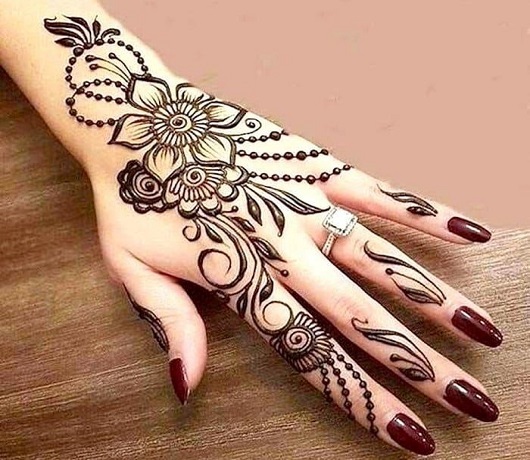 One of the best mehndi designs for hands, you can pick one with a floral base decorated with a vine pattern and a leafy motif. This one is the perfect blend of contemporary feminine vibes at your next social gathering. 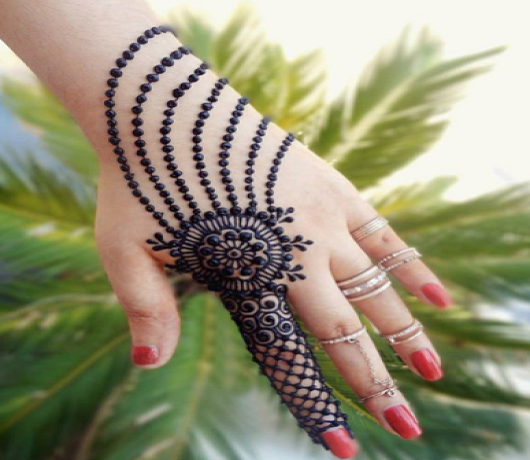 This bracelet style Mehendi takes inspiration from hand accessories and ornaments. It combines floral, leafy and circular motifs with dotted details to structure a bracelet. 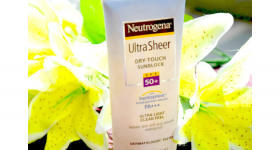 It is an ideal choice for those who have long fingers. 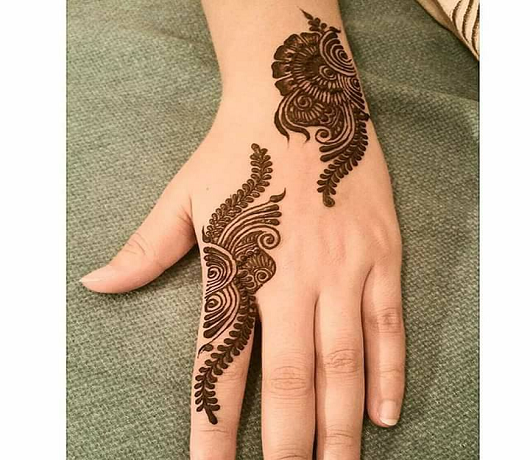 If you’re looking for a simple mehendi design, this chic leaf pattern is the one for you. 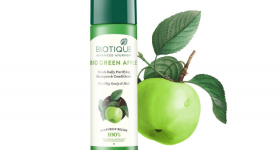 It is crafted with intertwining leafy strands. This style is bound to suit all occasions while making you look oh-so stylish. 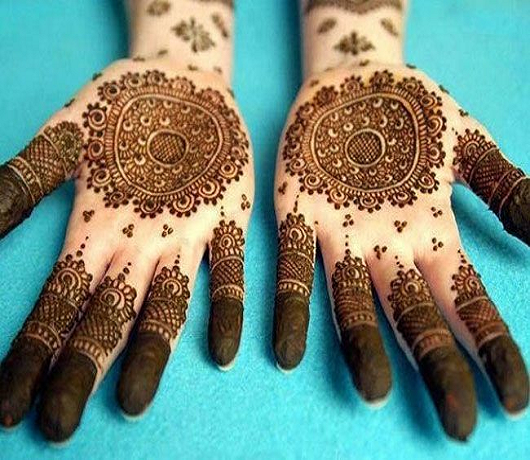 Give your hands a grander look by opting for a circular mehendi design. These cover most of the space of your hand and may even look complicated but are rather easy to execute. You can pick one with a floral pattern combined with dots and vines. 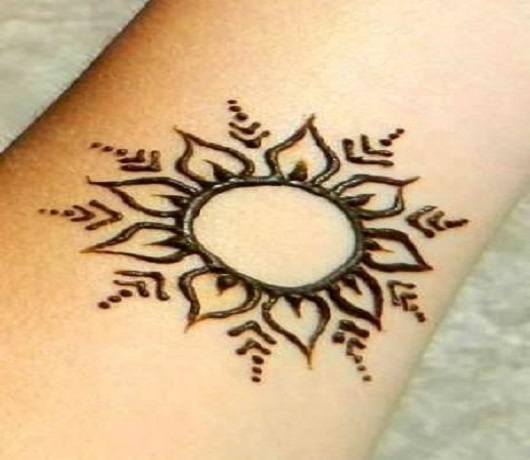 If you are obsessed with mandala yet bored of opting for it time and again, why not twist it up a little? A split mandala is the right way to do so! It not just looks super stylish but also renders a unique take on the original one. 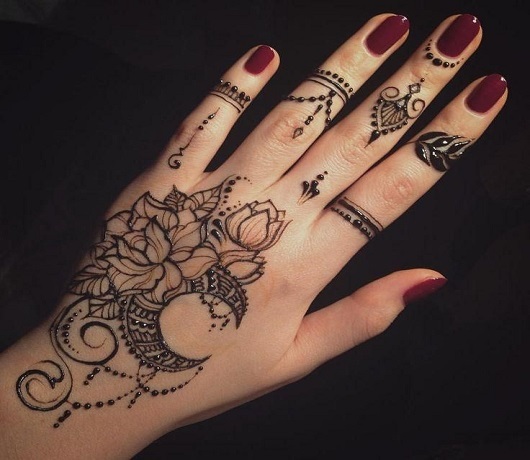 Inclined towards a specific finger, simple Arabic mehendi designs make your hands look fuller. You can extend them beyond your wrist for a closer affair such as your best friend’s wedding. 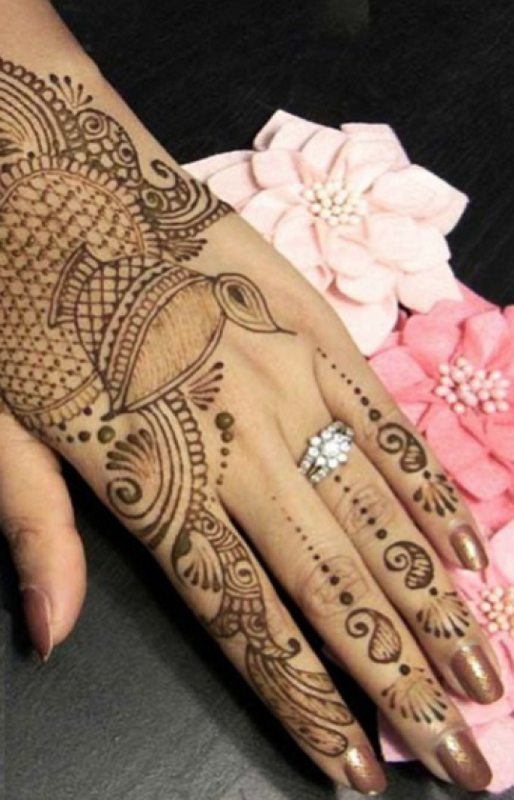 Decorating your hands with a ring-like pattern is the easiest way to enhance them. This style also exhibits fairy light vibes when combined with drop-like details. You can include this one in as many figures as you may please and leave the rest of the space empty. 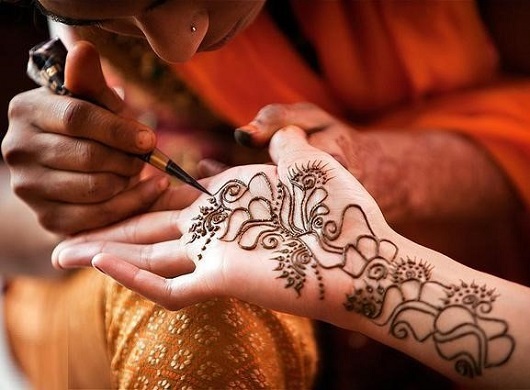 Imbibe the sharpness of abstract details into the simplicity of traditional mehendi. This style combines a bracelet structure, a spread of keen leaf-like motifs and an amalgamation of dots and lines to give away a crisp appearance. 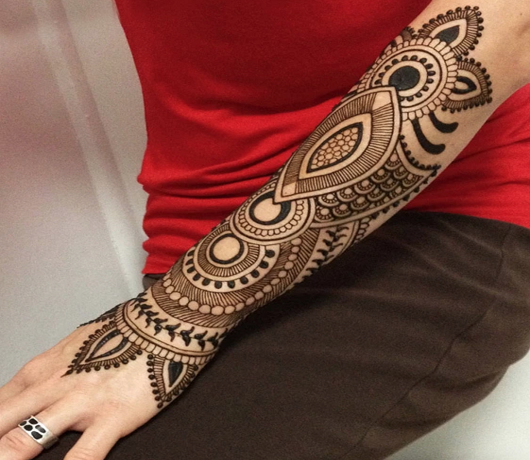 Taking inspiration from the age-old warriors, tribal mehendi is a reflection of power and pride. 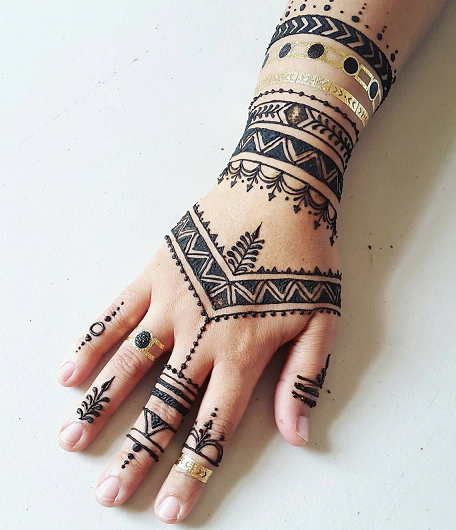 You can symbolize the tribal culture with sharp lines mixed with circular dots and some glitter. Peacock is a sign of grace and sophistication and also a common motif used in mehendi designs. It adds a dash of exquisiteness to your persona. You can opt for this design for both traditional and modish occasions. 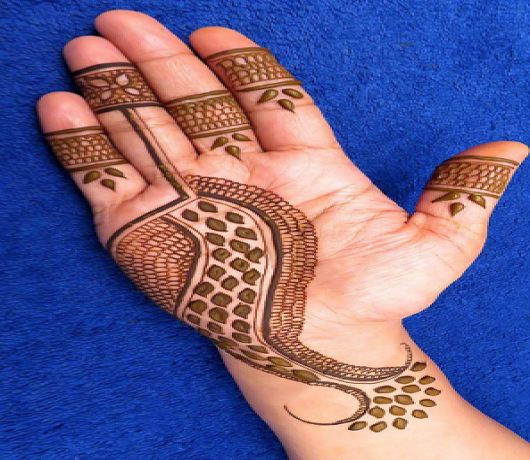 Opting for a curved mehendi design is the right way to showcase elegance while being simplistic. Pick one with a consistent thickness to elevate this style even more. 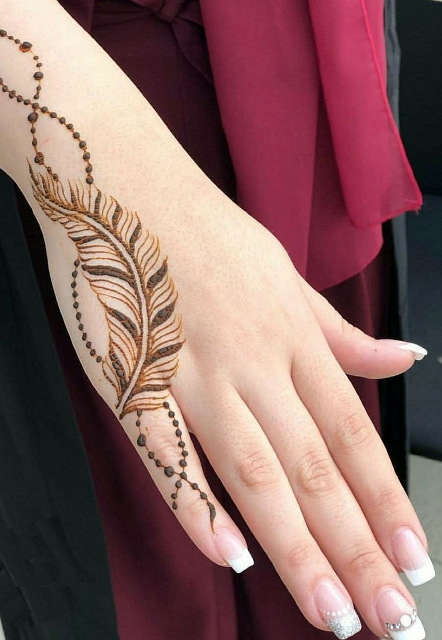 A feather alone is enough to make your mehendi design look fascinating and eye-catching. You can notch it up by combining it with dots, floral motifs and even some bright colors. 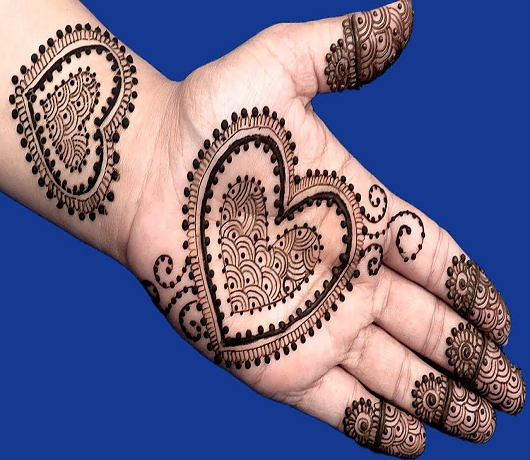 Symbolise love and eternity with a heart mehendi design. It is crafted with vines and dots with a heart centre. Brides can even use the heart to write their partner’s name. 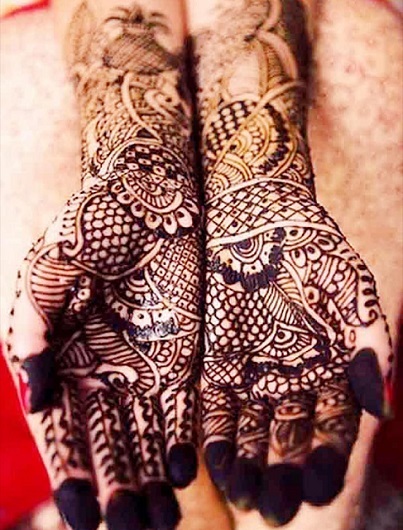 A modish bride is incomplete without a traditional mehendi and one that we suggest features a Mughal King. It is matched with intricate floral booti highlights to exhibit regal vibes. 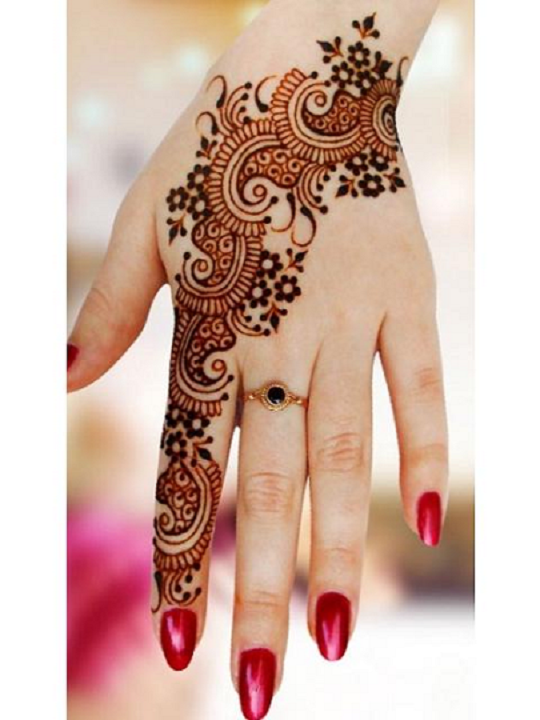 Speak subtlety with a delicate finger mehendi design. This one is not just minimal but also very intricate. 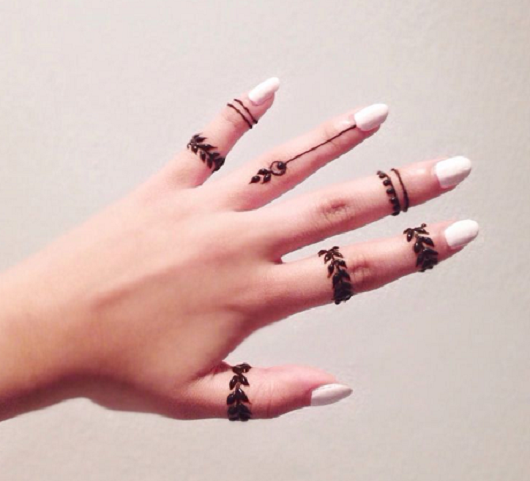 For simpler occasions like Diwali or Eid, there’s nothing better than a classy finger mehendi. 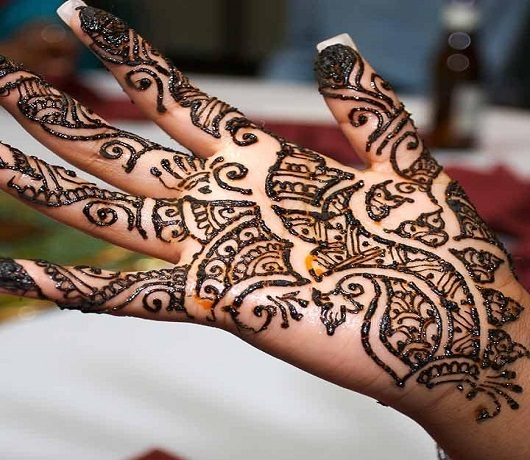 Outline mehendi design is a simple and minimalistic design for those who do not like intricacy and complexity. It is clean and crisp yet beautifully crafted. You can pick this style for almost any and every occasion. Styled like a sheer glove, lace patterns are a contemporary take on intricate designs. This one can be clubbed with flower details for any modern occasion. A beautiful flower motif signifies grace and femininity. Picking one featuring a lotus design imbibes purity and culture into your mehendi. This one is the right choice for all the traditional festivities. Accentuate your mehendi ritual with a simple anklet design to look minimalistic yet in vogue. This style is trendy and looks great with both Indian and western outfits. Floral motifs are ones to never go out of style. 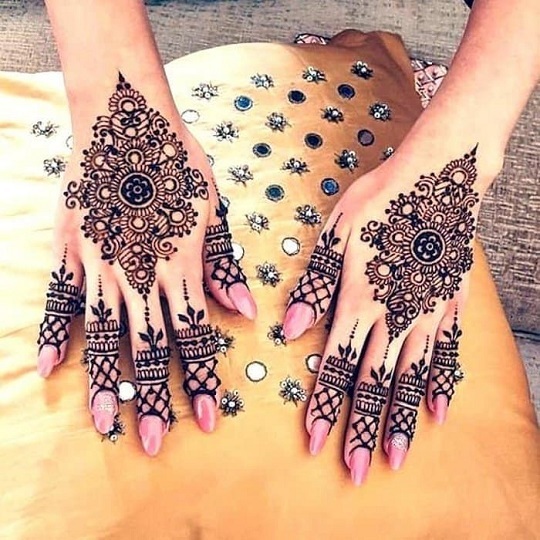 These not just glam up your mehendi designs but are also very diverse and unique. You can style florals in multiple compositions to suit different occasions. A quirky choice of mehendi design is the chessboard. It looks neat and sharp while being authentic and traditional. You can match this design with vines and dots to notch up your ethnicity. 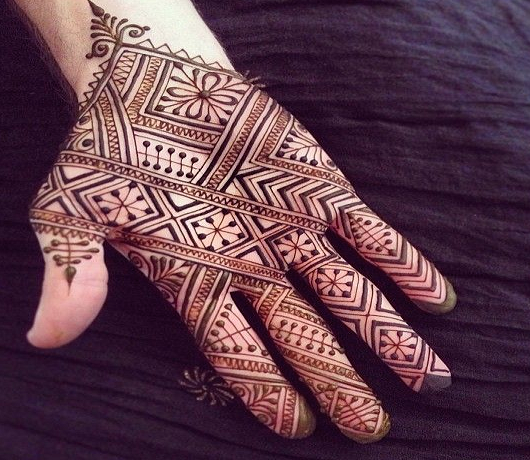 Moroccan mehendi is a more contemporary take on a cultural design. It looks unique and exotic and matches perfectly well with an indo-western ensemble at a fun afternoon function. 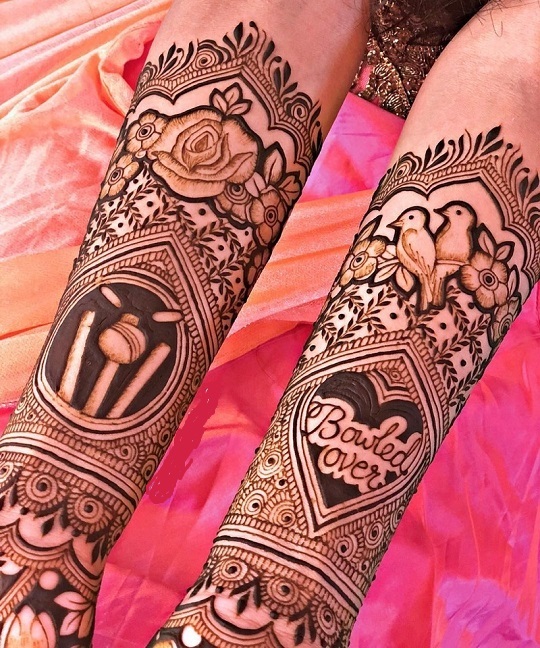 A medley of parrot motifs in a mehendi design is showcased as messengers of love. You can add leafy patterns to this style to create a nature-inspired illusion. Your ring finger is of prime importance on your engagement night! 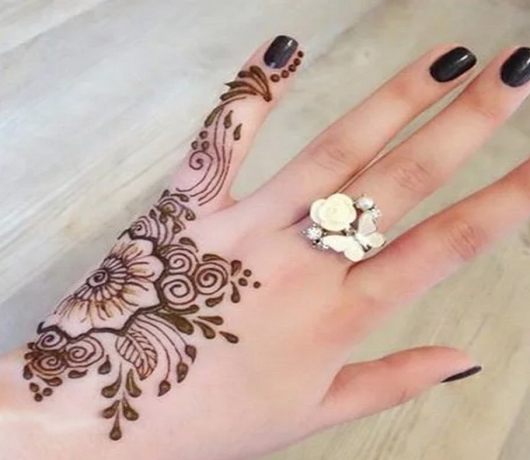 It is for this reason that you should opt for a minimal mehendi design focused on your last finger to let your ring shine. Use empty space to make individual designs stand out. This style is for those who like to avoid clusters and prefer a simplistic look. It is ideal for a pre-wedding ritual matched with a subtle Indian attire. 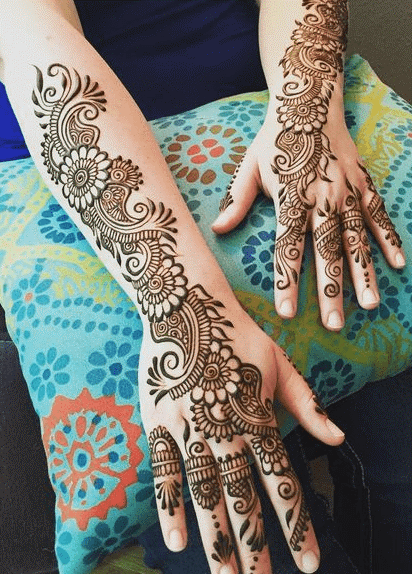 Gujarati mehendi is a reflection of extravagance and innovation. If you’re looking for something elaborate yet simple, then this one’s the right choice. 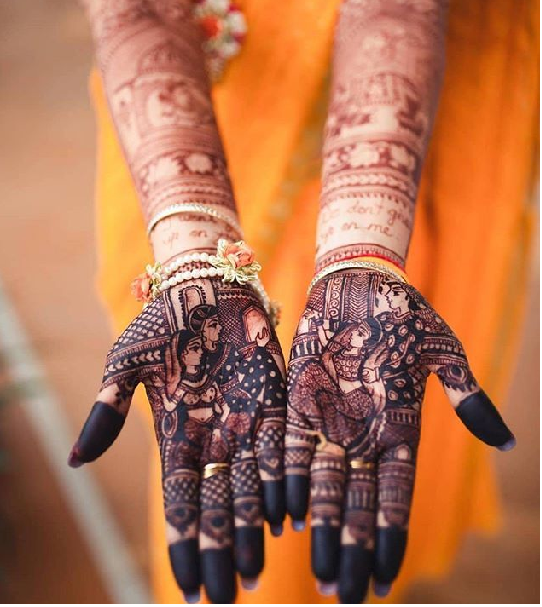 Rajasthani mehendi is an amalgamation of intricate motifs. It depicts tradition, folk, and the essence of the regal Rajasthani culture. In this style, both the hands are a mirror image of each other. 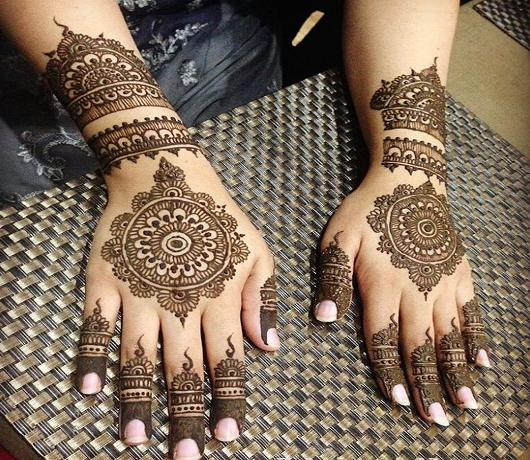 Punjabi mehendi style pays special emphasis on circles and lines. It is usually combined with a bangles pattern and is the most popular amongst college going girls. 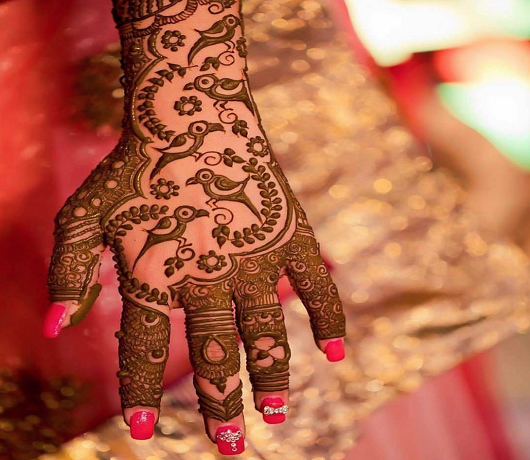 Dipped in elegance, Marwari mehendi designs showcase the culture and tradition of its origin. This style can be modified in diverse ways to suit multiple occasions. 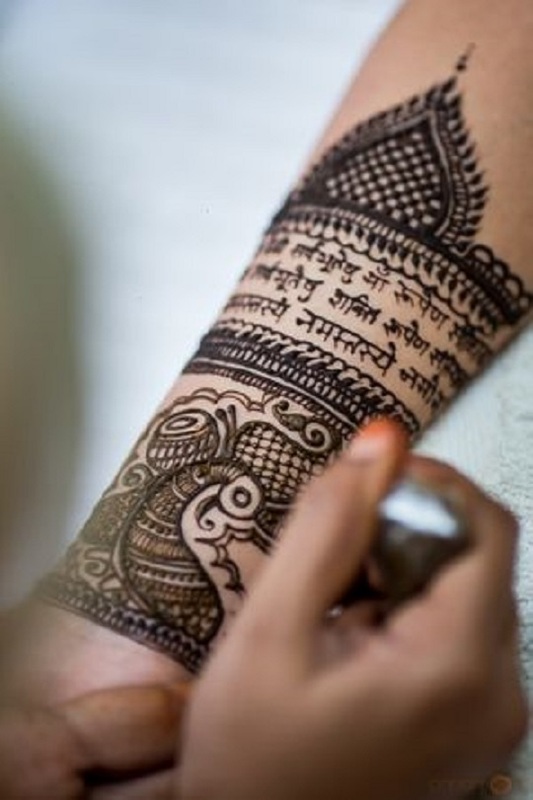 Indian women opt for Marathi mehendi design for its charm and cultural importance. These are applied using sticks rather than cones to give it a darker colour. 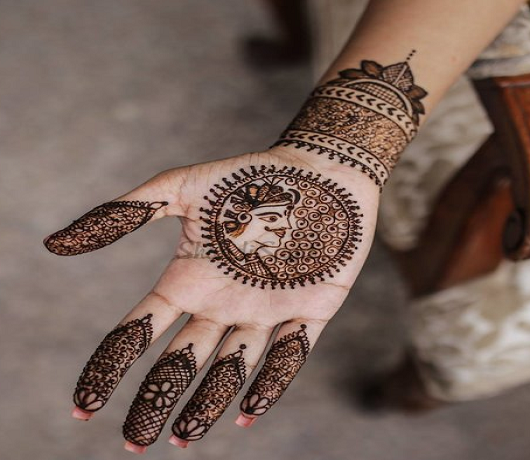 In Kerala, the art of mehendi is known as Mylanchi. It is a lavish spread that is decorative and intricate. 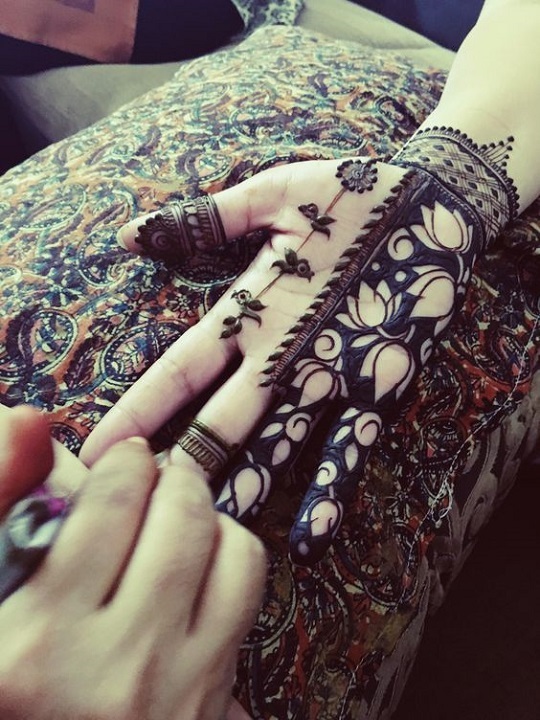 Rich designs and bold patterns define Pakistani mehendi. This style merges complex Indian and Arabic motifs to create a detailed layout. You can opt this one for a grand cultural event. Indians worship Lord Ganesha for happiness, prosperity and wealth. 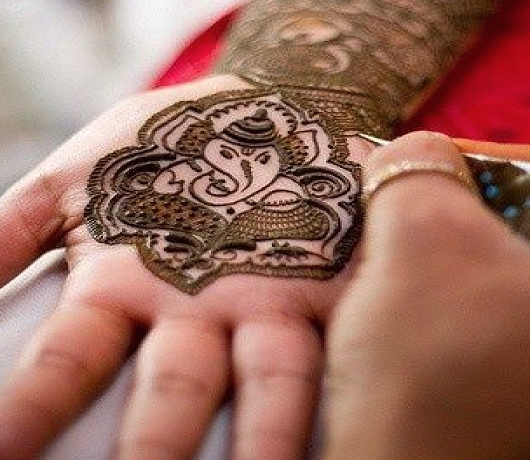 Imbibing the symbol of Ganesha depicts their auspicious belief in Indian culture. You can even simplify this design further by making just the trunk, forehead and eyes. 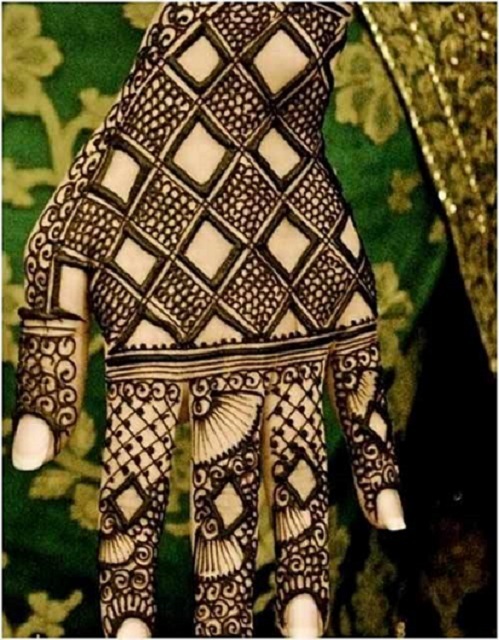 A semi-lace glove may look complex but is rather easy to execute using thicker borders and thinner motifs within. This style is a great choice for engagement and cocktail parties. 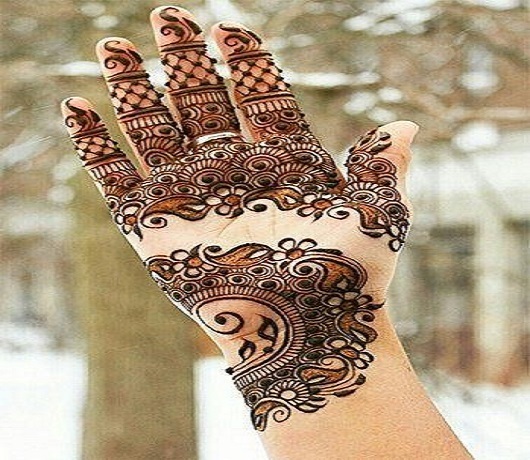 Paisley is a common foundation of mehendi art that is simple yet immensely attractive. 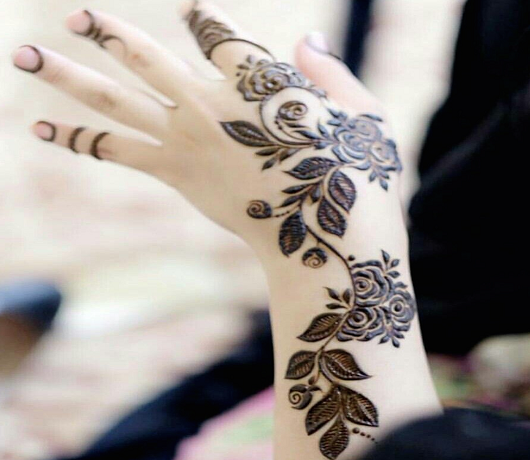 It is usually placed in the center of the hand and combined with leafy motifs on the fingers. Bel is a simple leaf design that is spread across as a spiral to give it an edgier appeal. You can combine yours with a mix of floral motifs for a sunny afternoon function. 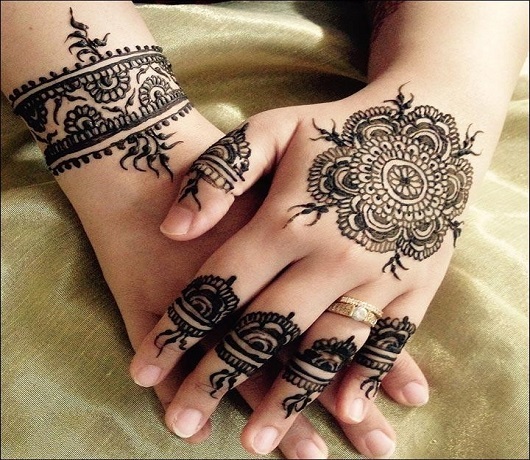 Crafting a mehendi design that exhibits the moon reflects simplicity imbibed in modern artwork. It is mostly in the form of a half moon matched with flowers, stars and wavy patterns. 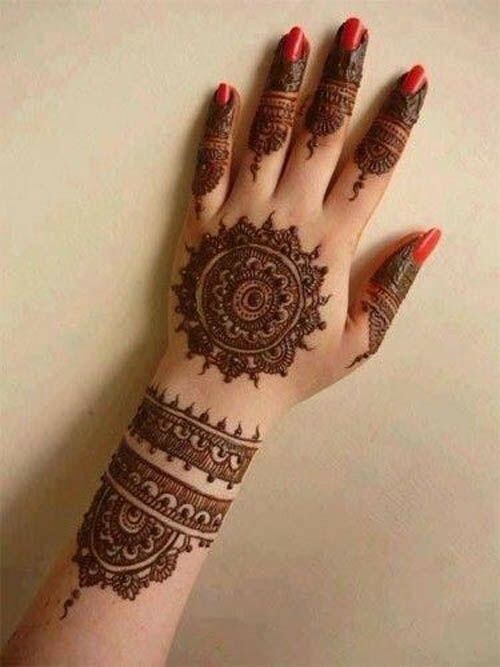 A sun mehendi design is by far the easiest to execute. This particular style is made with leaf motifs on the periphery. You can even add other details to elaborate it and make it more intriguing. Depict the royal ancient architecture using dome-shaped motifs. It usually starts from the lower edge of your palms and is extended in a spire-like formation. 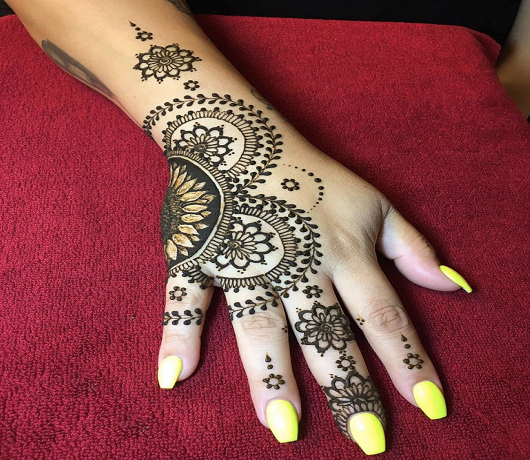 You can highlight the centre of your mehendi using a sunflower motif combined with circles, dots and teardrops spread across as a trail. This one is bound to elevate your Indo-western style statement. 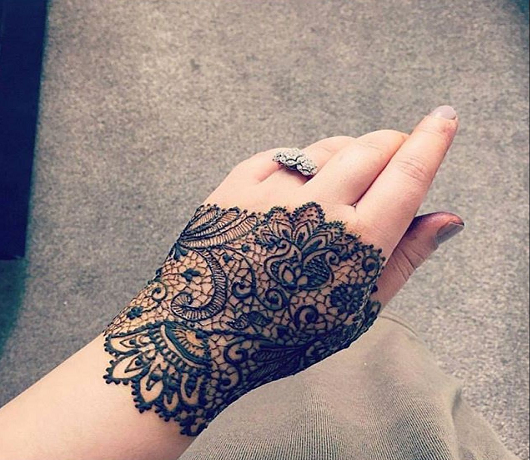 Turkish mehendi designs are known for their delicacy and details. A typical Turkish pattern includes a lot of flowers and curves. For those who are bored with the mundane, classic zigzag design is the one for you. It is crafted with neatness to look sharp. You can pair it with a traditional outfit for a close family occasion. 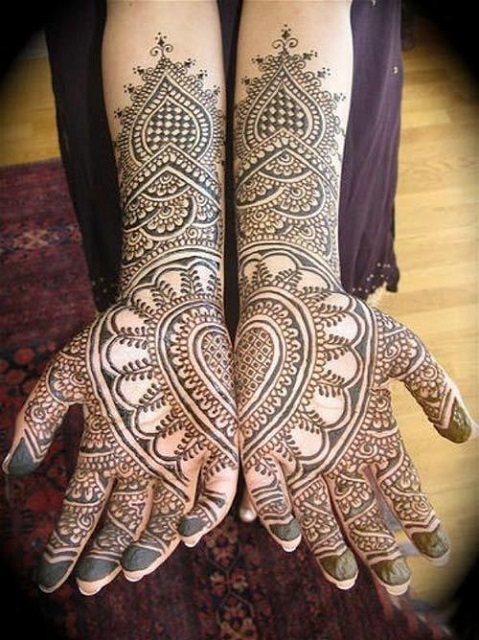 Linear mehendi designs are classified with clean borders and very little space between each line. This style suits western clothing and may work just fine for parties. You can even make it more ethnic by adding leafy and floral patterns to it. 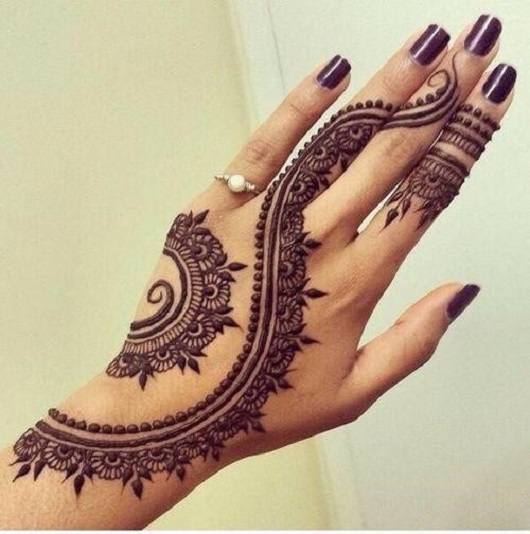 Stones can be pasted on a regular mehendi design to dazzle it up. This style is meant for a grandeur occasion paired with a glittery gown. 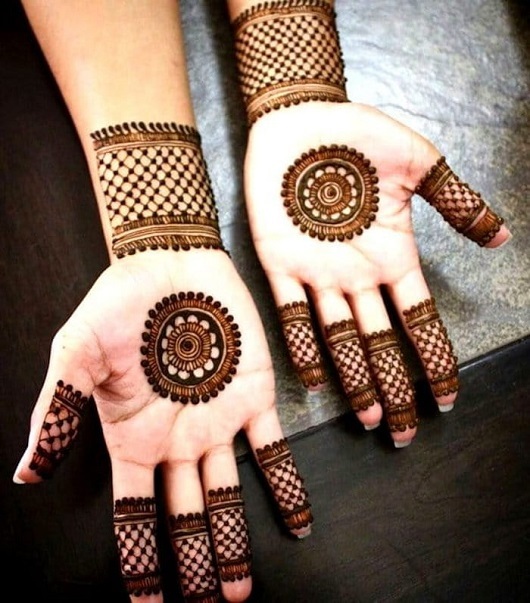 Net mehendi design replicates a structure of mesh to look fancy and on-trend. This can be combined with teardrops, leaf and dome motifs for a contemporary occasion. 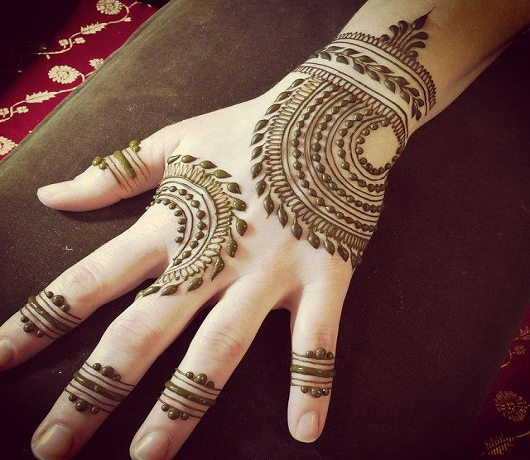 Inspired by the ancient tribal designs, African mehendi is usually abstract and less dense. The amalgamation of dots, geometric shapes and vines reflect a bold vibe. 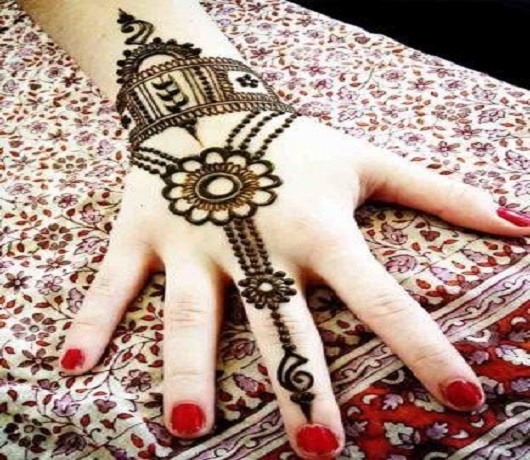 Fusing Indian and Arabic mehendi designs is a great way of getting the best of both worlds. This style can be clubbed with a traditional lehenga or saree to catch all eyes. 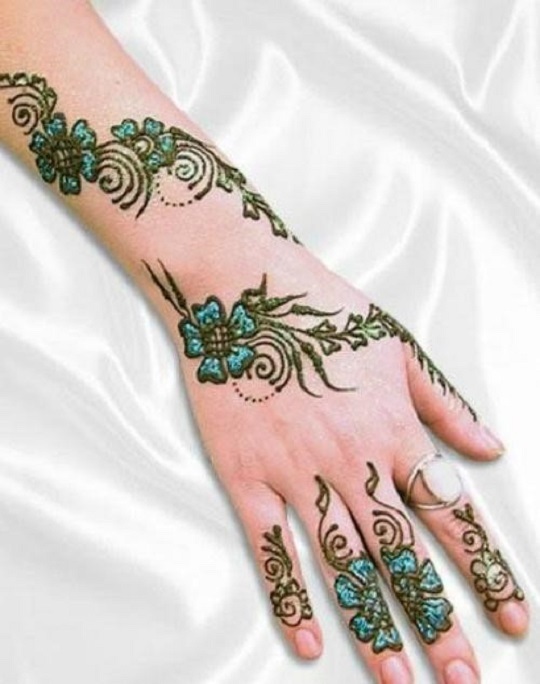 Flower motifs incorporated into an Arabic design is a display of sheer elegance and femininity. You can pair it with ethnic or even contemporary outfits for any occasion. 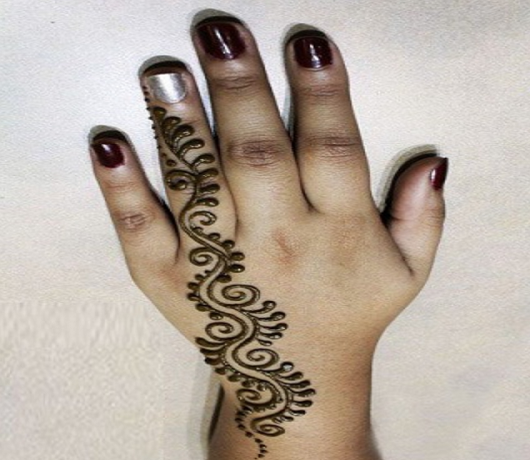 Blend modernity with classic ethnicity by opting for an Indo-Ethnic mehendi design on your fingers. You can get this style imprinted for a low-key function or pair it with chunky hand jewelry for a grandeur affair. Mirror image Mehendi designs look aesthetically appealing while being on-trend and unique. 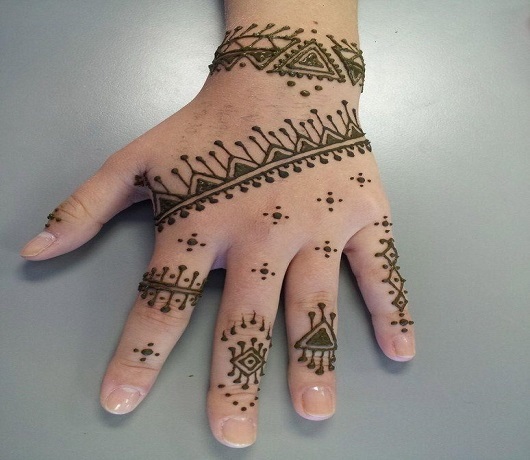 In this style, the same design is replicated on both hands. This style has a gaudy appeal and can suit all wedding rituals. Rangoli is an art form that is considered auspicious in India. Many a times, mehendi designs are a reflection of these rangolis. A typical rangoli is a mix of a circle in the center with floral and leafy designs on the sides. 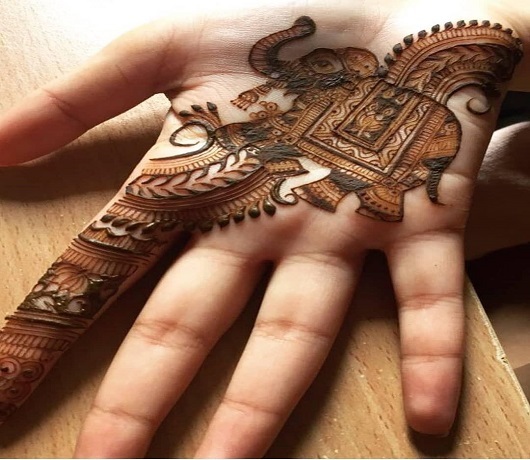 Add a regal touch to your mehendi design by picking an elephant motif. This can be decorated with intricate floral and leafy patterns for an upcoming traditional event. A floral chakra is formed when a number of patterns are brought together in a concentric circle to depict a blooming flower. 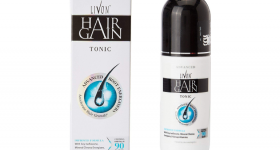 It imbibes freshness and chicness into your style. 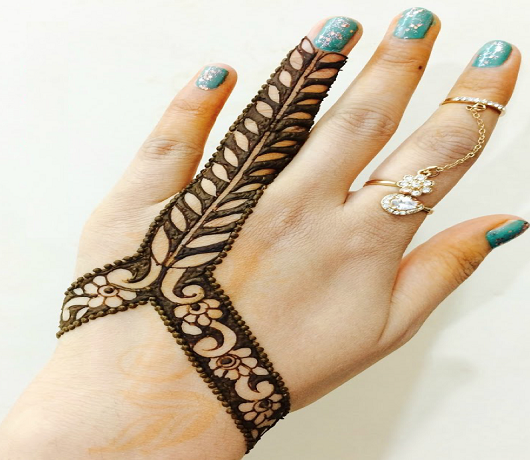 From extremely detailed to exceptionally basic, bracelet style mehendi designs never disappoint. These can be varied in terms of intricacy or boldness to suit almost any occasion. Add subtle beauty and femininity to your mehendi art by picking a hanging earrings (jhumka) design. These can be decorated with a ring motif to add a modest look. The play of circles is easy yet extremely admirable. Highlight your circular strokes with thick dots and linear lines. You can pick this style for a trendy sangeet night to become the eye-catcher. Add a twist to a regular chakra design by picking one that features multiple adjoining ones. You can accentuate this style even further by decorating it with leafy outlines and floral details. 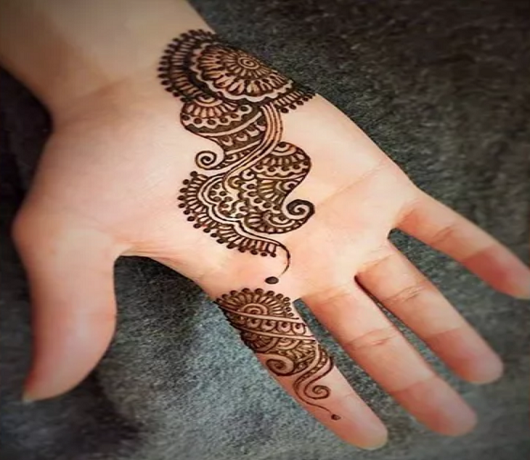 Who knew that some small dots could bind together to form such a delicate mehendi design? You can match these chain-like dots with a floral chakra and a net pattern, concentrated towards the index finger to mimic a piece of hand jewelry. The most evergreen motif to incorporate into your mehendi is a diamond. The diversity of this shape helps to create a plentiful number of designs. It is an apt choice to go with an evening gown to an engagement ceremony. 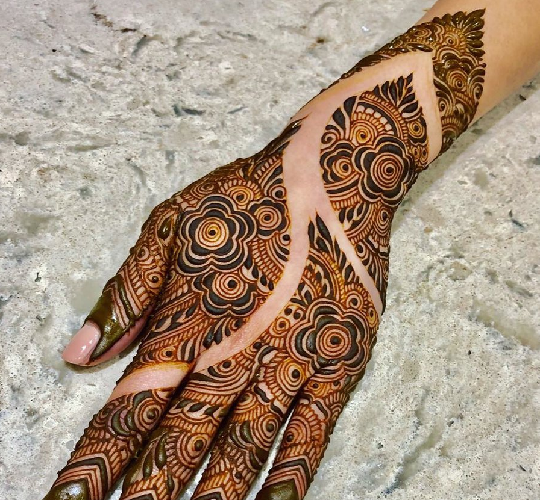 Khafif mehendi design is a modern take on the classic Arabic mehendi design. These motifs are unconventional and out-of-the-box which make them super stylish and glamorous. The shimmering scales of the fish signify good luck and happiness. It is also considered as a symbol of a women’s beauty in her eyes. Club this motif with linear and leafy patterns to create a pleasing picture. A reflection of power and poise, dragonflies also depict the rebirth of something new. 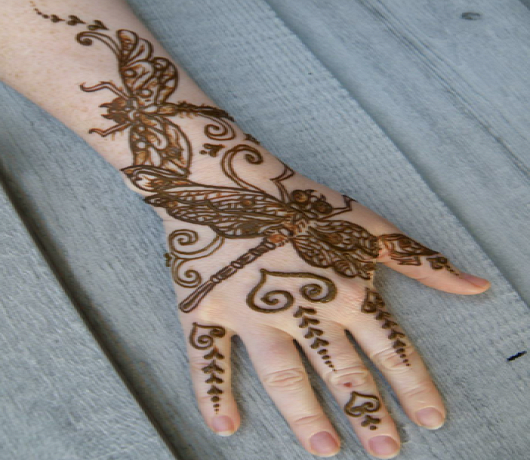 If you’re a free-spirited woman who likes to dig into things for a deeper meaning, a dragonfly mehendi is the right choice for you to amplify your persona. 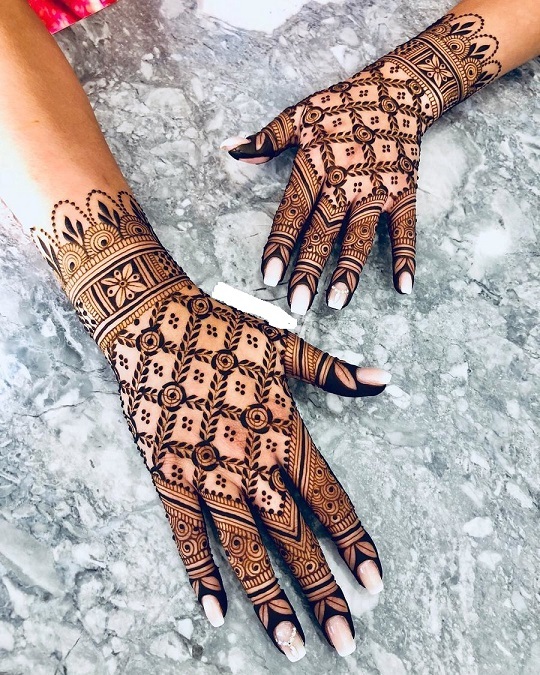 Three part mehendi design is one where the area of your palm is divided into three parts and is filled with intricate motifs. It is further finished off with a thick outline to segregate each part. 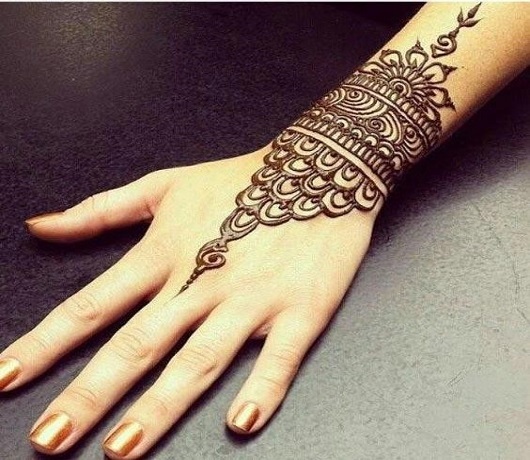 Adding a coiled effect to our mehendi is the right way to make it look urbane and attractive. You can style it in a bel form for more neatness. This one is for all your low-key events around the corner. 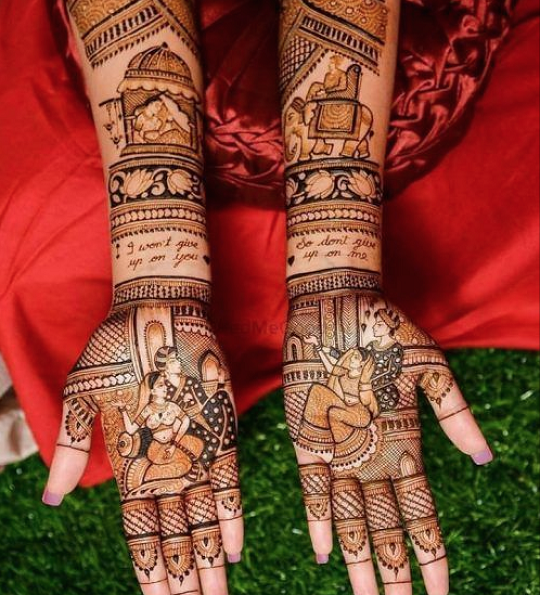 An Indo-western mehendi design incorporates the essence of both the east and the west sides of the world. It is far from being traditional and is aesthetically appealing. These are usually spaced out and feature modern patterns with Indian design. 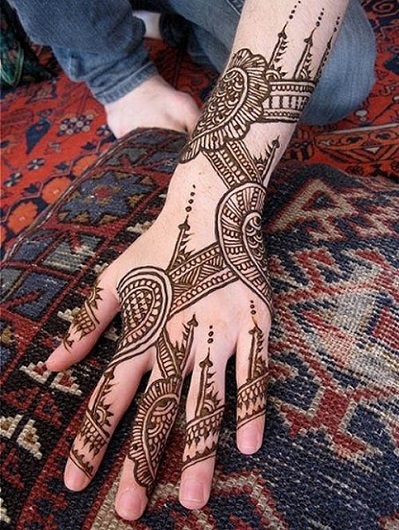 Border mehendi designs are not just simple to execute but also very neat and visually appealing. This design is ideal for young fashion forward girls who like to elevate their personalities through their personal style. Want to make your special one feel even more special? 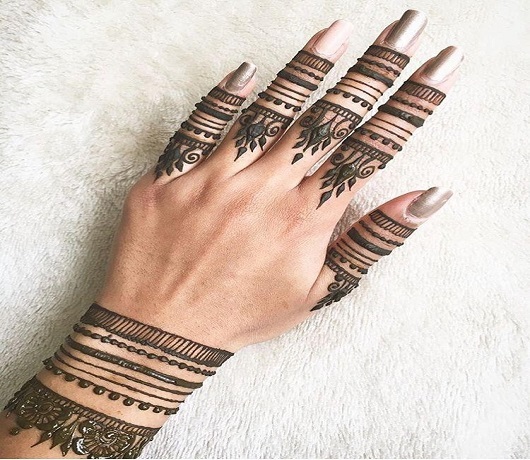 Get their names engraved into your henna design to make that extra gesture. This idea is adorned by a lot of Indian brides. 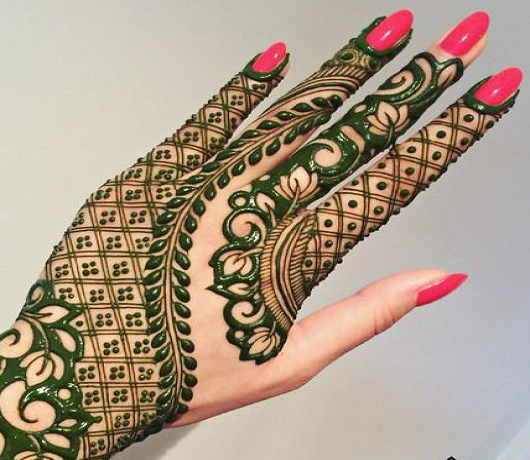 Mango leaves are considered to be a huge part of traditional mehendi designs. These are easy to execute and look ‘oh-so alluring’. If you are a beginner, then this style is the right one to start from. 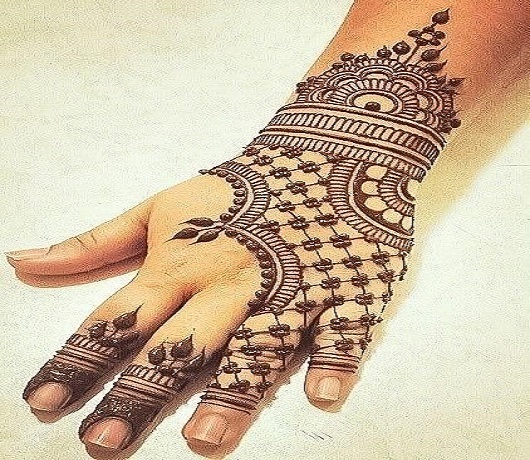 A cuff mehendi design is one which is placed on the wrist to dress your hand. It is minimalistic and suits western occasions as well. 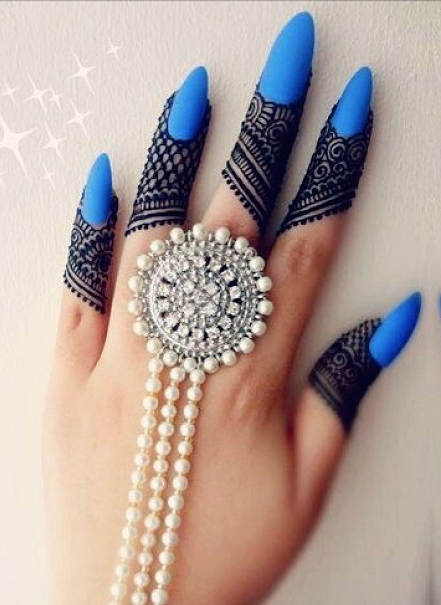 All you need are a few rings to go with this mehendi style. 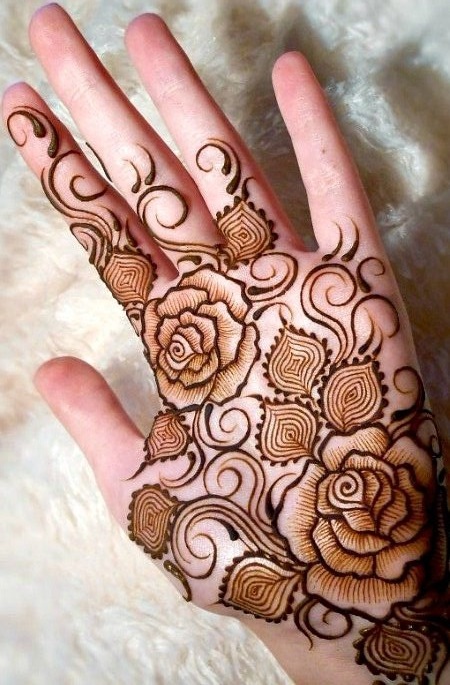 Shower the essence of love into your mehendi design by opting for rose motifs mixed with vines. These look charming and feminine to suit occasions. Creepers and leaves bind together to form a refreshing mehendi design. It depicts a delicate flowering structure that is a must-try choice for beginners. 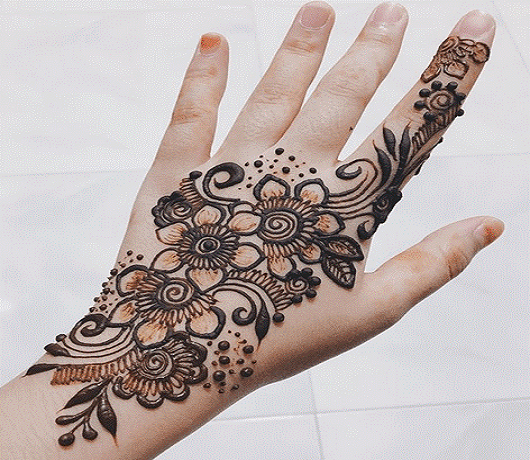 Opt for intricate motifs yet look simplistic with a half cover mehendi design. This style usually covers only half of your hand and the rest of the space is kept empty for neatness. 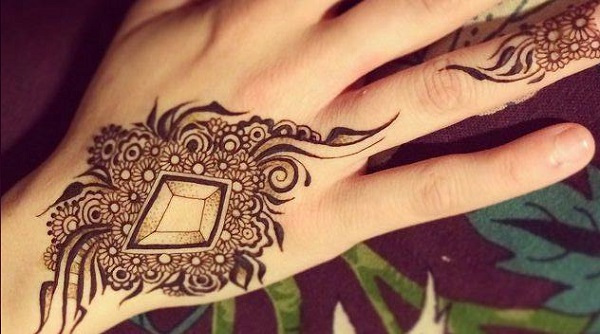 Almost no mehendi design is complete without the outline of geometric shapes. From squares and rhombus to circles and triangles, different shapes can be mixed in unique formations to create splendid designs. 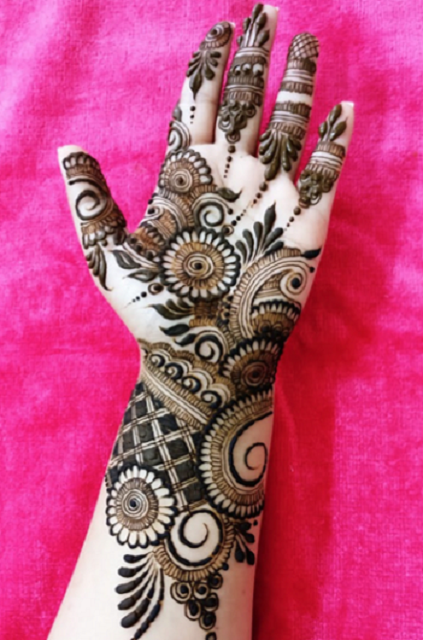 Out of the many versatile ideas, a half and half creates a soothing mehndi design image. This style is crafted in a manner that when both the hands are combined together, it forms a full picture of the design. Shlokas and vedas are the preaching of Indian culture with specific meanings for each. Exhibit your traditional roots by imbibing these into your mehendi designs. 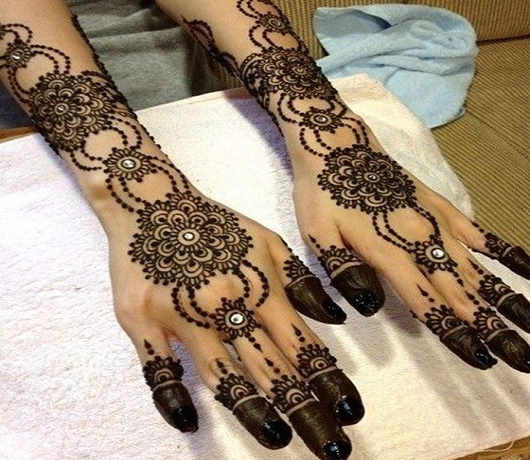 Mughlai Arabic mehendi design is a magnificent take on the traditional one. It is considered as one of the oldest patterns. You must pick this style for a regal occasion. 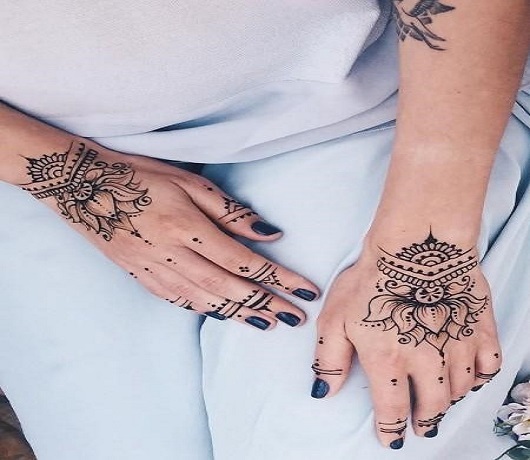 Reverse lotus mehendi design is one under which small lotus flowers are created in an opposite direction while looking absolutely complementary to the other motifs. 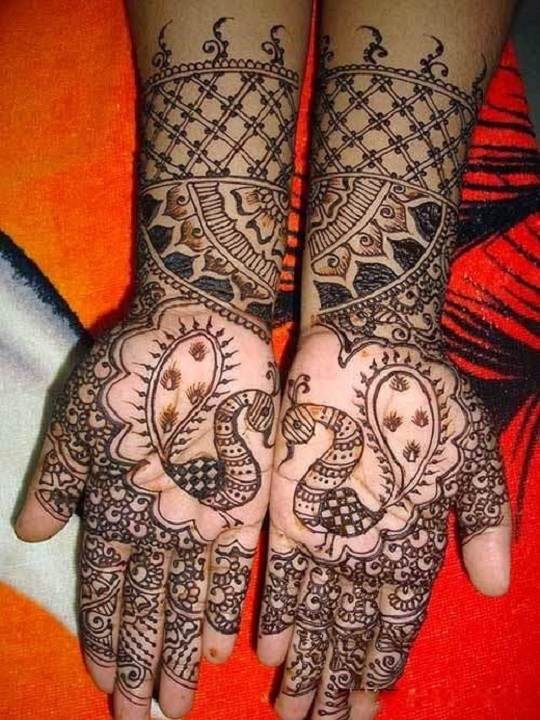 Many theme-based mehendi designs feature the figures of a bride and groom. 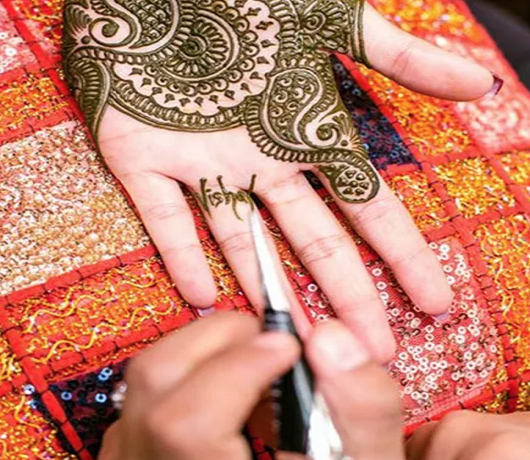 You can reflect a picture of your own story through these Dulha and Dulhan mehendi design motifs to surprise your partner. 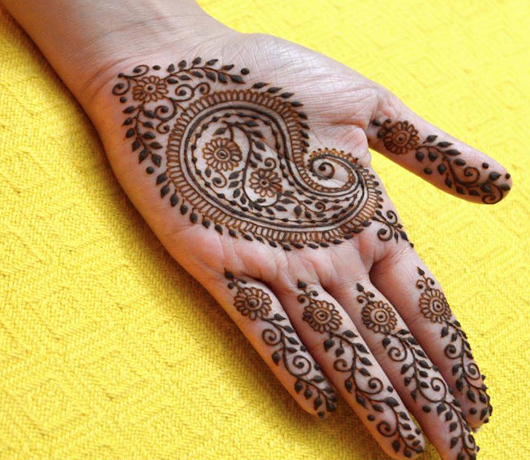 A classic mix of swirls and twists can make your mehendi design look absolutely mesmerizing. Thin or dense, these motifs look enchanting in every way. Add a splash of freshness to your symmetrical design by filling them up with floral motifs. These are ideal to make you look enchanting at your sangeet ceremony. 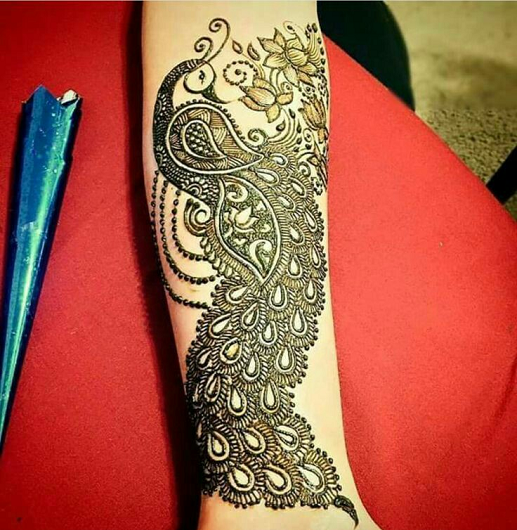 Peacock designs have become one of the most common motifs to be used in conventional mehendi designs. 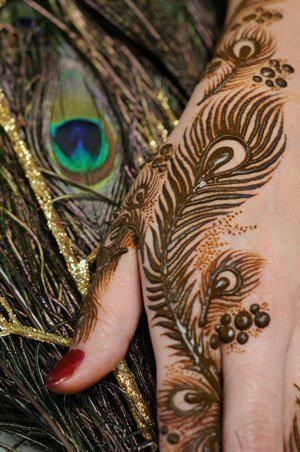 However, you can always give it a modern twist by opting for only the feathers combined together in an Arabic pattern. Celebrate joy with Lord Krishna’s motif for an auspicious occasion. 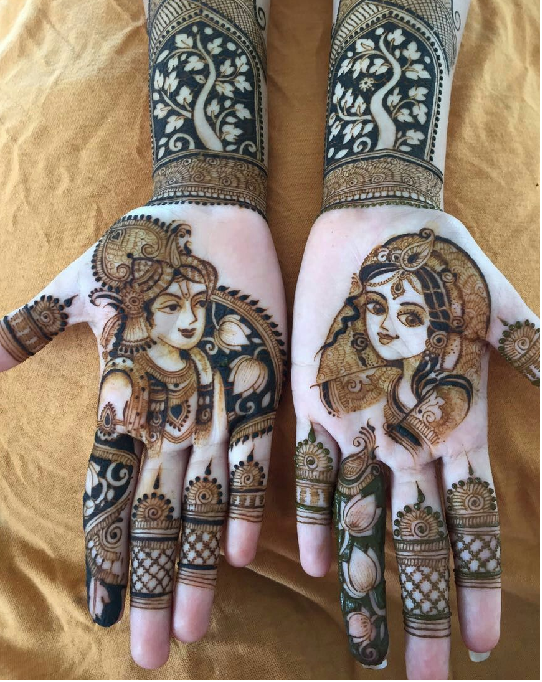 You can even symbolize love through your mehendi design by opting for a portrait of Radha Krishna together. Flowers combined with leaves symbolize liveliness and elegance. 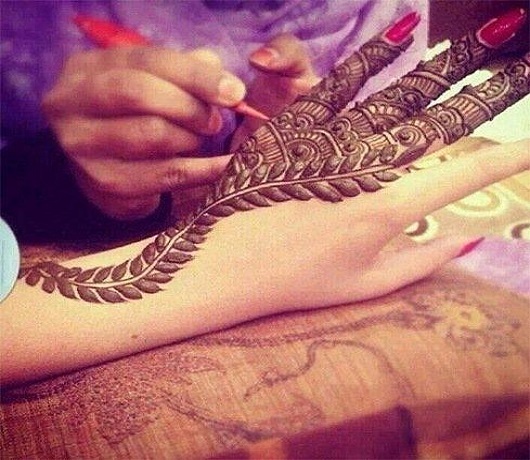 You can opt for an Arabic style leafy flower mehendi for an engagement ceremony or go for full coverage for wedding occasions. A majestic owl is symbolic of spiritual wealth. 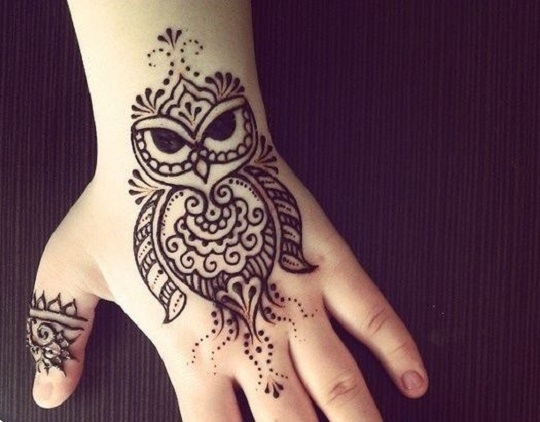 Get yourself an ornamental sketch of an owl combined with vines and dots to look distinctive and eye-catching. 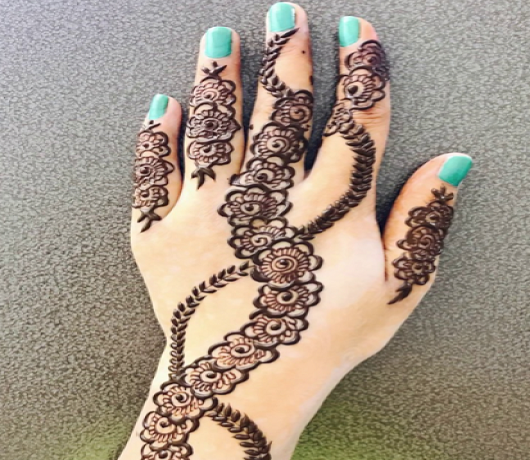 Two motifs mehendi is a charismatic yet simplistic design. It is crafted with two distinctive patterns combined together in repetition. If you are not too keen on going for something complex, then this one’s the right choice for you. Fancy designs can become even fancier when curated using two colours. 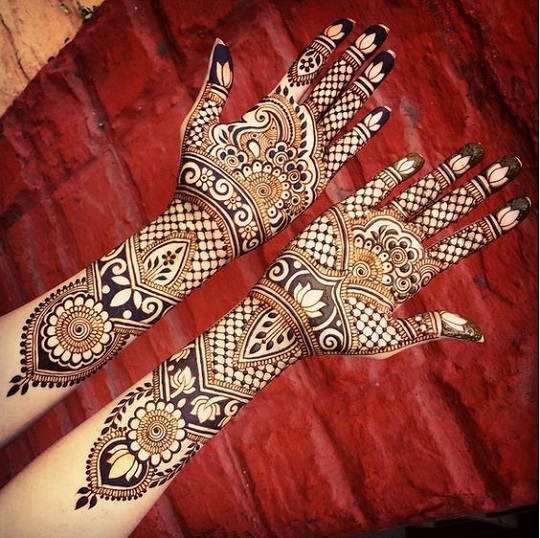 These not just look alluring but also highlight the details of your mehendi design. You can match the colours with your outfit for multiple functional events. 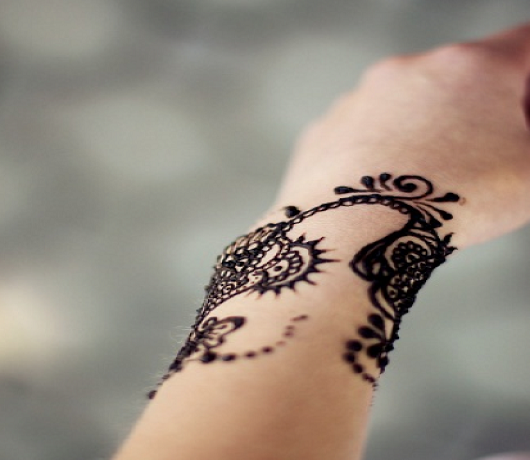 Jazz up your regular mehendi design by adding a temporary glitter glue to it. This one is sure to glam up your festivities with glitz and glimmer. You can even wear it for a fun music concert. Signifying a successful life, swan symbols look absolutely elegant. 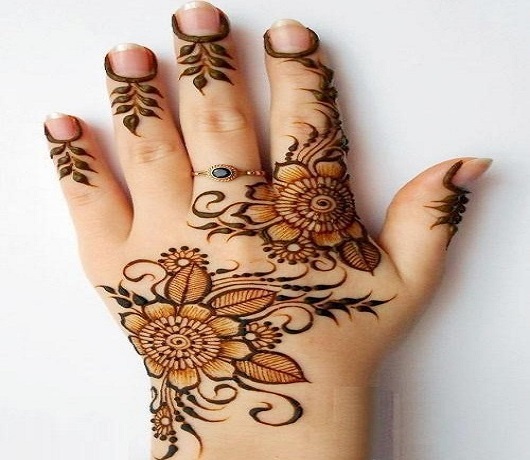 You can club it with vines, dots and other motifs to create a full hand mehndi design. This one is a hit amongst traditional brides. 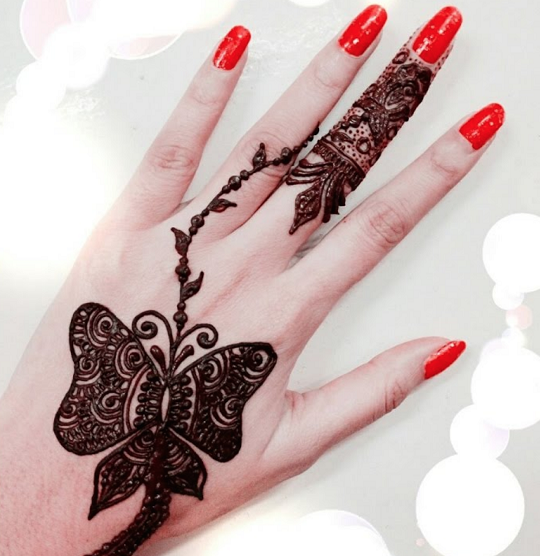 Cute and delicate, butterfly mehendi designs symbolise the stage of transformation. This motif is an epitome of subtle beauty and is a massive hit among kids and young adults. Pottery plays a significant role in Indian culture and depicts diversity in our country. You can highlight multiple pots combined with blooming flowers for a cultural event. 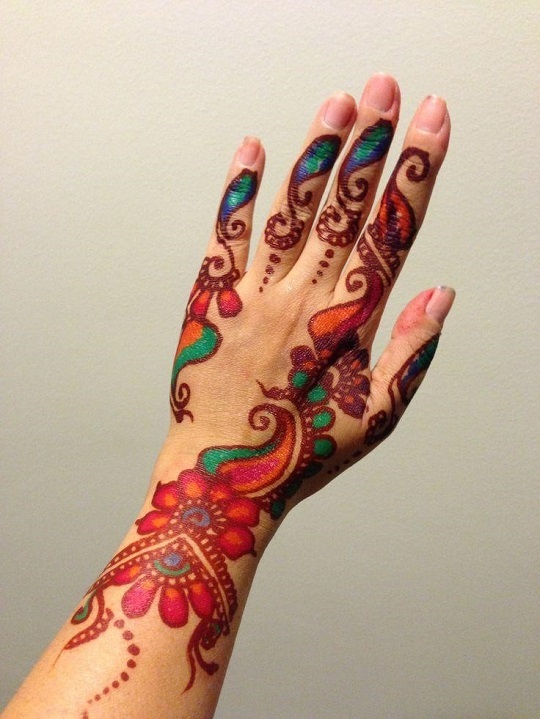 Splash a dash of colour into your henna dye by using colourful hues. 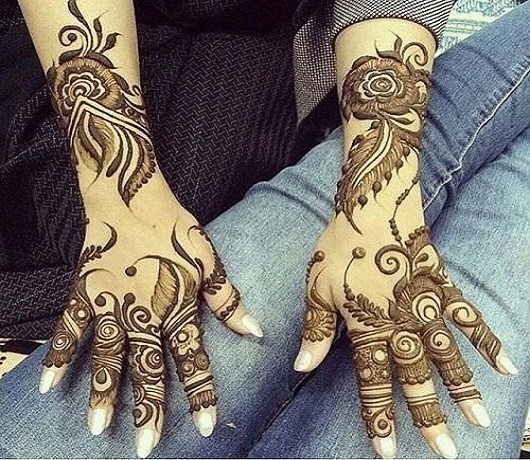 It is the right way to highlight your mehendi design and make it more fun. Spring is the time of rebirth and revitalization. 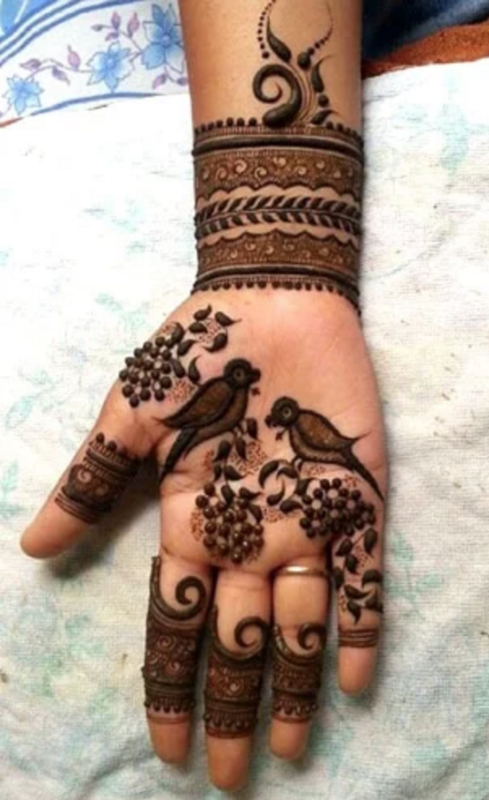 You can imbibe this essence into your persona by picking a mehendi design that showcases blooming flowers and birds. Indian festivities are incomplete without lighting a diya to bring in happiness and prosperity. You can combine a diya motif with swirls, dots and net patterns to give it a complete look. Alta is a red dye that is applied to the hands and feet. It is a tradition for all Bengali brides. 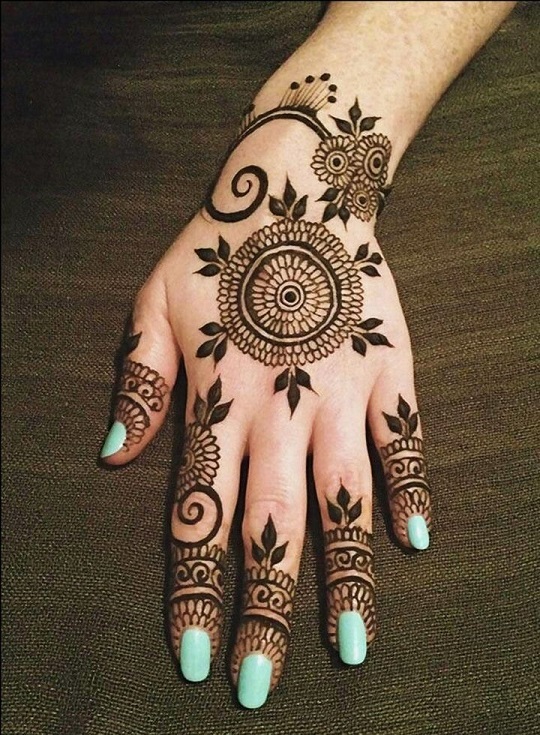 Combining it with a mandala mehendi design makes it stand out and look more unique. 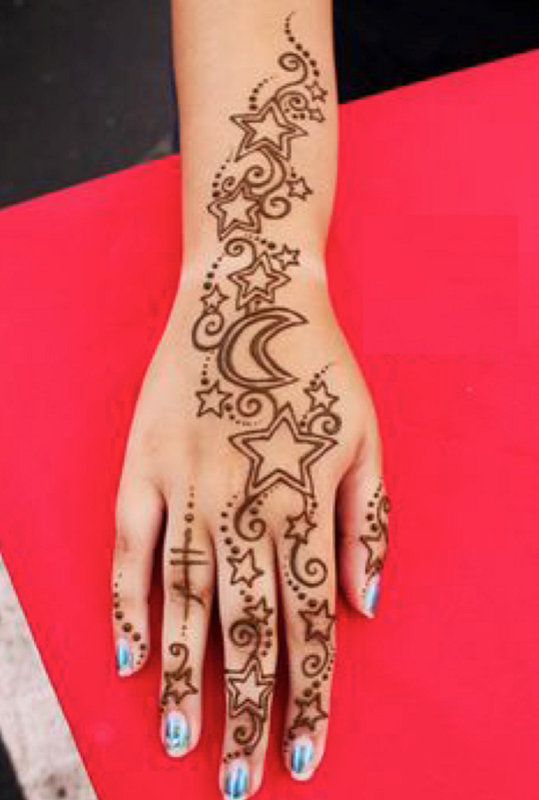 Intrigue all with a starry-detailed mehendi. 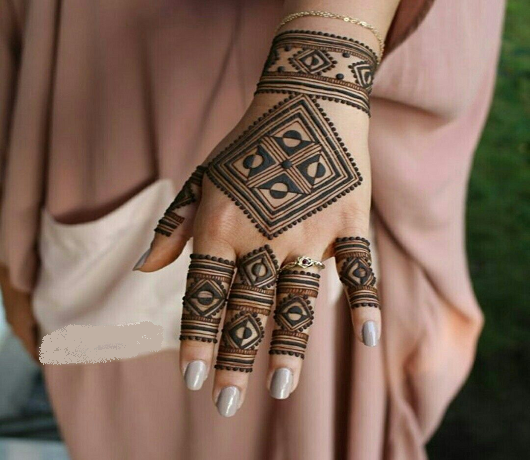 You can create an Arabic design using star motifs to give a modern twist to traditional henna art. This one will also complement western clothing. If your personality is fun, then this style is apt for you. 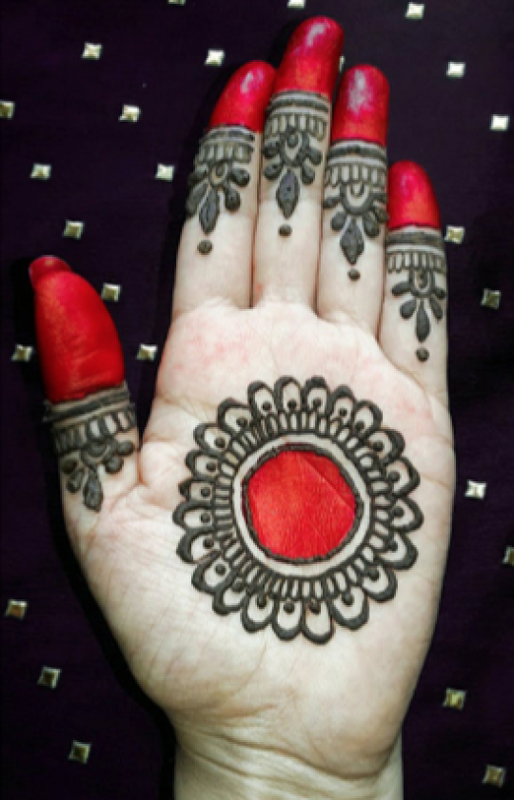 You can imprint playful messages on your palm combined with a mandala, jaal or other patterns to standout in the crowd. A modern-day wedding is incomplete without a hashtag to go with it. 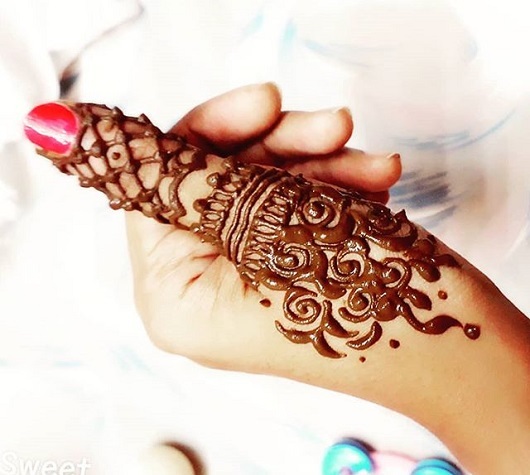 You can keep your mehendi photo ready by getting your hashtag carved into your design. 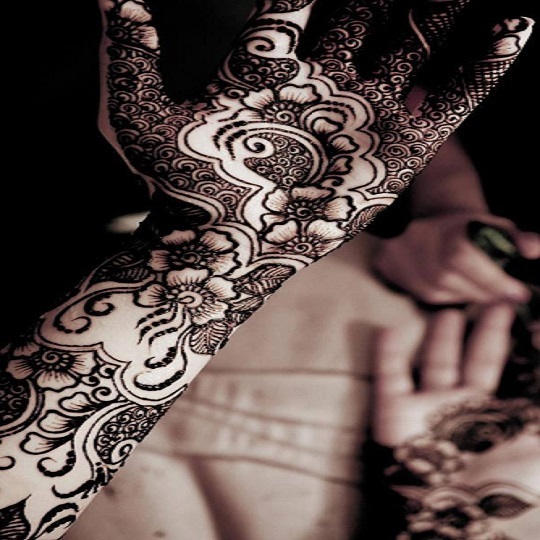 Express the loyalty and love for your partner by opting to get your vows added to your mehendi design. It looks promising and adorable and is sure to catch all the attention. 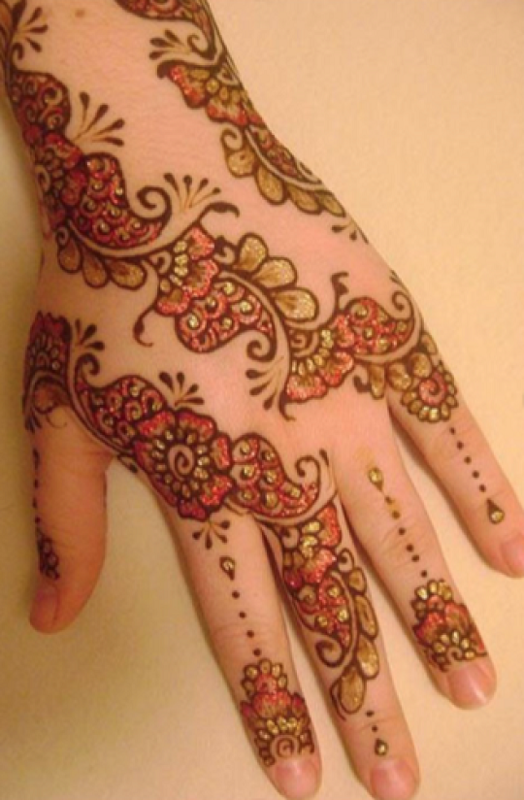 Make every part of your mehendi stand out by picking one that is designed in a layered pattern. Here each segment is intricately filled with different motifs and is segregated through empty spaces between each. 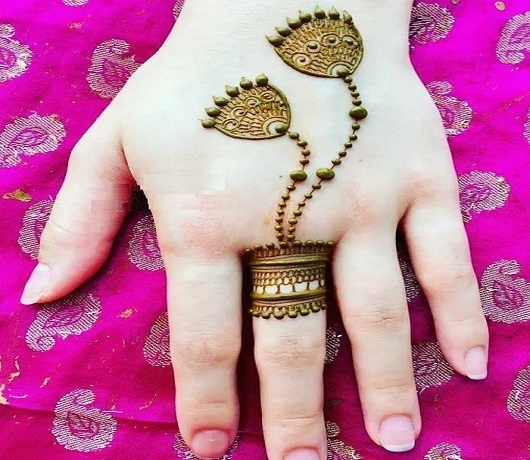 If you are always on a lookout for something poised and regal, then a crown mehendi design is the one you should eye upon. It looks sharp and graceful and can be matched with both ethnic and western wear. Add more character to your persona by picking an animated motif to suit any event. 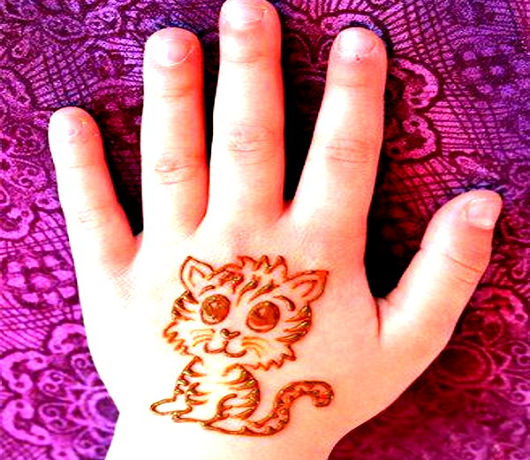 These are majorly popular amongst children who like to doodle cartoon characters on their palms.